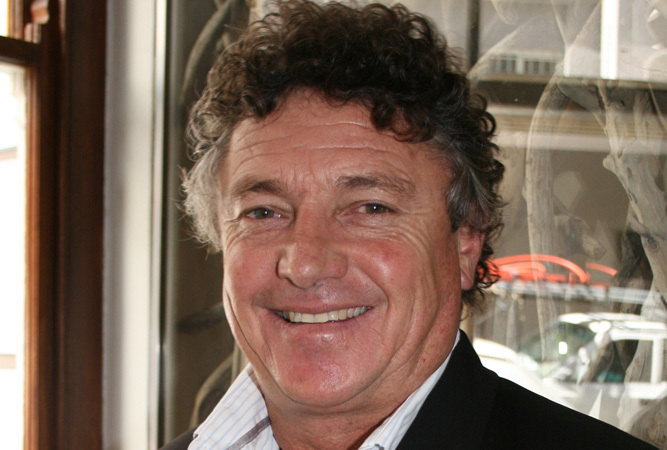 Joe Cloete is the General Manager of the Shamwari Group, which represents the exquisite Shamwari Game Reserve just outside Nelson Mandela Bay. This reserve has consistently been voted the World’s Leading Safari and Game Reserve and Conservation Company, and promises visitors an experience of sheer luxury. When was Shamwari Game Reserve established? What was the vision? It was established in 1992 and the vision was to conserve a vanishing way of life. To restore the land to how it used to be, and should be, whilst creating awareness of the importance of conservation and wildlife. Has this initial vision changed at all? If so, how? Not at all, we continually strive to create awareness on a local and international level and especially focus on educating the upcoming generations. 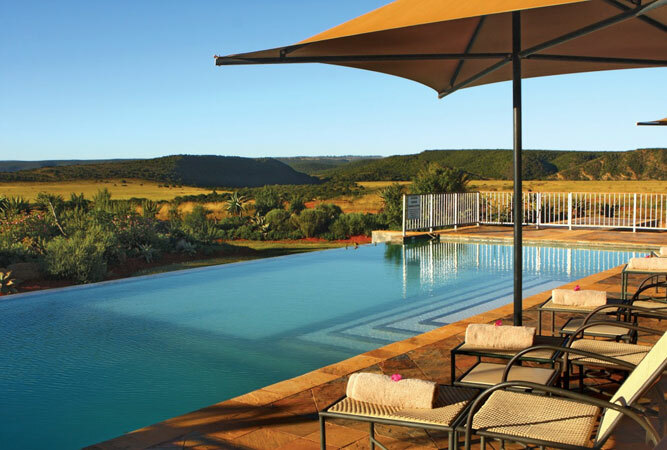 What sets Shamwari Game Reserve apart from other game lodges? We believe that at Shamwari Game Reserve guests get to experience more of what goes on behind the scenes in order to maintain a game reserve by introducing them to the Rehabilitation Centre, the Born Free Centre and the Dr Ian Player Rhino Awareness Centre. For the children there is the Kids on Safari Programme that educates them on flora, fauna and conservation in general whilst showing them what they can do, in their own way, to secure the future for the planet. What is its role in the promotion of the Eastern Cape on the global tourism platform? We attend many of the local and international trade shows and also conduct our own workshops worldwide to tour operators and travel agencies, ensuring they are kept up to date with all the progress and news not only about Shamwari Game Reserve, Shamwari Group and the other reserves we own but also about the Eastern Cape as a unique region to explore. Please tell us a bit more about the various accommodation options at Shamwari Game Reserve. We are fortunate to have six beautiful lodges, each unique and each offering something totally unique, many of which have recently been refurbished, plus the now famous Shamwari Explorer, which is a two day walking safari with accommodation in mobile tents. This has proven to be a huge success as many guests really want to experience nature and have a safari experience that is truly ‘up close’ to Mother Nature. It has been so successful that we also offer ‘The Explorer’ at Sanbona Wildlife Reserve and Jock Safari Lodge. Do you have honeymoon suites and / or family rooms? Yes we do and all of them have recently been refurbished. Riverdene Lodge is the family lodge at Shamwari Game Reserve with interleading rooms to make the stay more comfortable for families. What facilities and amenities do you have? Aside from the swimming pools we also have beautifully appointed Relaxation Retreats for guests of all ages to enjoy. What makes Shamwari great for families with children? We believe it’s the Kids on Safari programme that allows children to have their own time to learn and develop whilst Mom and Dad have time to themselves either taking a game drive or relaxing in one of the Relaxation Retreats. Please tell us a little more about your conference and wedding facilities. How are you involved in community and / or green initiatives? How can your guests contribute to these? We are extremely proud to be very involved in our community and have a dedicated team that ensures that all projects are carried out meticulously to benefit one and all. To date we have raised almost R3, 000, 000 for the Wilderness Foundation’s ‘Forever Wild Campaign’, an initiative to help save rhinos throughout South Africa. Each of the Shamwari Group properties have over the last 17 months taken part in the Forever Wild campaign by offering guests a discounted rate if guests donated a minimum of R100 per person per night. The Shamwari Conservation Experience team, which is situated at Shamwari Game Reserve, is also currently supporting the Sunshine Coast Charity (SCC) which was established by farmer’s wives to support HIV and Aids infected and affected children in the area. 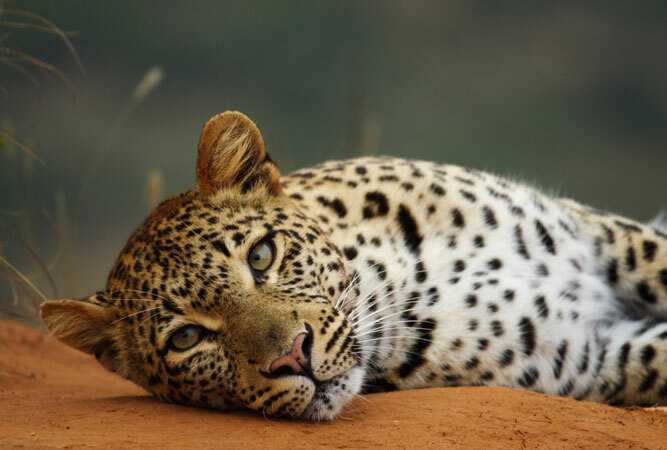 We have for many years now been involved with the Born Free Foundation that helps save big cats from across the world. Guests when at Shamwari can visit the Born Free Centre to learn more about the phenomenal work being done. Together with the Born Free Foundation we have just created the ‘Owl box Project’. The aim of this initiative is to educate schools and the surrounding communities about the significance of owls and how the owl population can be increased so that rodent numbers can be reduced. We have also been involved in helping to clean up the local Blue Water Bay Beach in Port Elizabeth as part of our ongoing support for the community. We contribute to the local Paterson community by also supplying the local orphanage, Isipho with food and has also assisted in creating herb and vegetable gardens which also helps to build community spirit and a sense of pride. We have implemented many green initiatives at all the properties to ensure that each lodge, the staff and guests respect nature and are made aware of the responsibility we all have to our precious resources. From water filtering, organic gardens and greenhouse, solar power and a comprehensive recycling system it is an ongoing eco-journey. The guided game drives sound like great fun. What animals and vegetation can visitors look forward to seeing? We are fortunate to have the Big 5 at Shamwari Game Reserve and we not only concentrate on these, as many guests wish to see them specifically, but we also concentrate on the Little 5 as all are important to the sustainability of a healthy reserve. 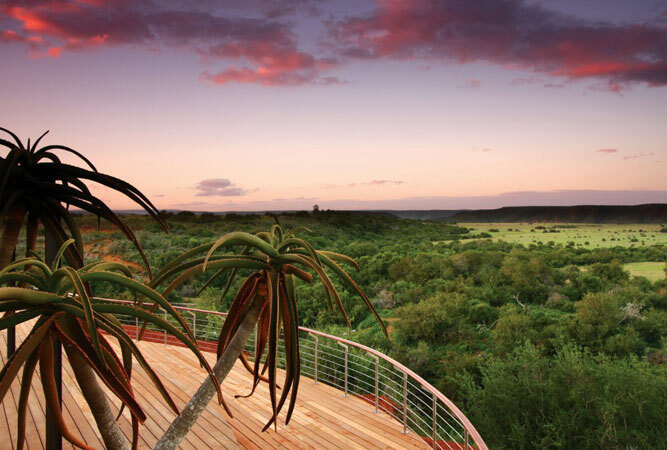 From an ecological point of view Shamwari Game Reserve is a very rich and diverse ecosystem, comprising five of South Africa’s Biomes with fourteen vegetation types represented. There is also a very rich biodiversity as well as endemism (species unique to the region). In order to maintain and improve this ecological integrity the Ecological sector of the Wildlife Department is continuously actively involved in various monitoring projects to determine the effects of ecological management on the environment. Two such projects of specific interest are the vegetation monitoring and the integrated predator/prey relationships as vegetation and predators have the largest effect/impact on the health if the ecosystem. 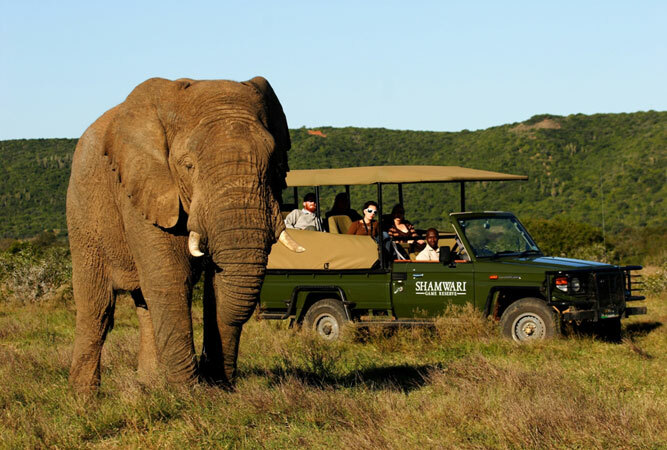 Please tell us about the various sanctuaries under the Shamwari umbrella. There is ‘The Ian Player Rhino Awareness Centre’ that was opened in June 2012, which has been initiated as part of the Forever Wild campaign and due to the rhino devastation that South Africa is presently facing. Here guests can learn more about how they too can get involved. There are the two Born Free centres on the reserve, the Animal Rehabilitation Centre, headed up by legendary vet Dr Johan Joubert and guests also have the opportunity should they wish to learn more about conservation or even become qualified rangers to enroll on the Shamwari Conservation Experience. Why do you love the Eastern Cape? The Eastern Cape has a fascinating diversity, both in history and wildlife, and used to be one of the richest wildlife zones in Africa. It has 4 of South Africa’s 5 biomes (major vegetation unit) and is also rich in culture. Where would you like to see Shamwari in 5 to 10 years’ time? 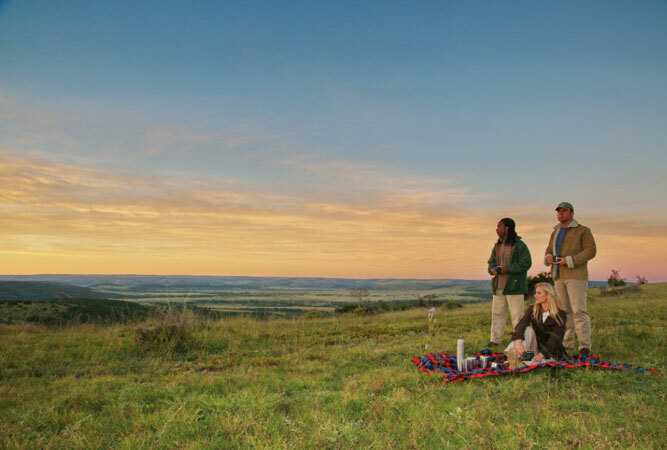 We would like to see Shamwari Game Reserve and indeed Shamwari Group and all its reserves and lodges offer exceptional and authentic safari experiences that educate all ages and to know that we have made a difference in saving a vanishing way of life. What is the most satisfying part of being involved with a lodge like Shamwari? Shamwari has always been a dynamic reserve with changes taking place as we develop and expand the wildlife area. It is the pioneer of private game reserves in the Eastern Cape and it is great to see the result of 22 years of hard work by so many dedicated individuals. It has a special place in my heart. Visit Shamwari Game Reserve to experience this yourself!